Back in 2012, the FTC investigated claims that Google circumvented Safari's ad-block settings in order to store cookies and deliver targeted ads to users. The company agreed to pay a $22.5 million fine to settle the case but denied it did anything improper. "Google did not intercept contents as provided for by the Wiretap Act," Robinson wrote. "While URLs may provide a description of the contents of a document, e.g., www.helpfordrunks.com, a URL is a location identifier and does not 'concern the substance, purport, or meaning' of an electronic communication." 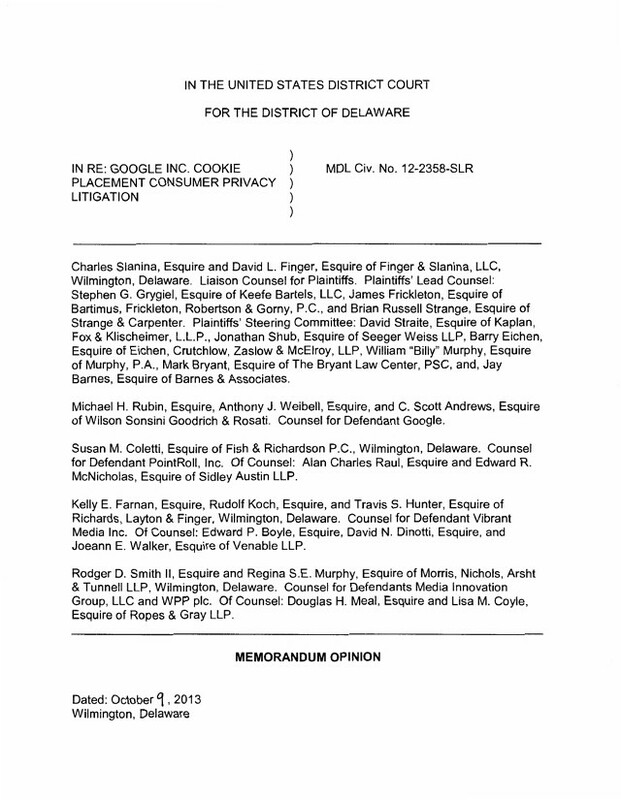 Robinson also found that the plaintiffs failed to "demonstrate that Google intercepted any 'contents or meaning'" under California's Invasion of Privacy Act or identify "any impairment of the performance or functioning of their computers."